This post is part of Matador’s partnership with Canada, where journalists show how to explore Canada like a local. RESIDENTS OF THUNDER BAY refer to it as the Big Lake, but Lake Superior is more than big. It’s the biggest. And because of its enormous size it acts more like an ocean than a lake. 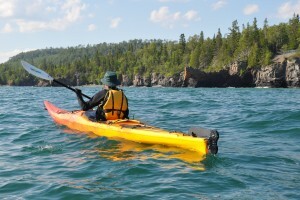 With a surface area of 31,700 square miles, Superior creates its own weather: Winds can pick up or change direction at any moment, creating wind swell, waves (up to 30 feet), and current, which can be difficult even for experienced kayakers. Sail Superior’s Capt. Gregory Heroux. When faced with this fresh water behemoth the small alpine lakes of Sierra Nevada seemed like puny ponds — this was the real thing. I sailed with Captain Gregory Heroux aboard the Varua to Silver Islet, a seasonal township near Sleeping Giant Provincial Park, where we met up with Epic Adventures kayak guide Michael Elliot, and the Visitor Experience Manager for the Lake Superior National Marine Conservation Area, Greg Stroud. We were a motley crew that shared a love for the outdoors, ready to set out on a two-hour adventure on the Big Lake despite choppy water and wind. But first we had to learn how to wet exit the kayak. This meant voluntarily tipping ourselves upside down, pulling the loop from the skirt, and releasing ourselves to safety. The sun was shining, but the breeze was cool and the water cold; with an average water surface of temperature of 39-55 °F, Superior was a bit chilly. Michael Elliot and Gregory Heroux. I wasn’t sure that I wanted to go for a dunk. Captain Greg went first. He released within a few seconds and was back in the kayak quickly. Easy. The cool water was refreshing, he said. Once the safety lesson was complete, we headed west and north along the Sibley Peninsula’s coastline to see the great stone Sea Lion. The stone figure, which resembles a sea lion (you have to use your imagination), is tucked inside a bay on the mainland and one of a few sights of local lore in the area. Pine, fir, and dark volcanic rock rise out of the clear blue lake water. We bobbed around, chatting about sailing, kayaking, and bikes (Michael and I are both mountain bikers and bike lovers can’t help talk about anything else). We snapped a few photos before paddling on. Next we aimed for the Silver Islet, a small island that was once the location of the world’s richest silver mine. The mine produced more than $3 million in silver ore before it was closed in 1884; remnants of old mining shafts can still be seen in the lake. The turquoise water and islet’s sandy shore looked like a tropical motu found in the South Pacific. I wanted a piña colada. My arms felt like Jell-O, the sun was getting low. Daydreams of foofy island drinks had to be curbed; it was time to start the journey back over the deep, blue waters of Lake Superior. Greg Stroud and Lake Superior’s 2,726 mile shoreline. Bring your camera in a waterproof bag and keep it handy. Have a change of clothes handy so that once you have successfully wet-exited the kayak you can change into dry attire. Don’t miss the strawberry, apple, blueberry, and rhubarb pie with ice cream at the Silver Islet Store. And have a cinnamon roll too, for good measure. Kayak tours with Epic Adventures start at $75 per person including equipment, and go up depending on the destination and duration. The Silver Islet sail-in kayaking excursion is a customized package that can be arranged through Epic Adventures and Sail Superior. 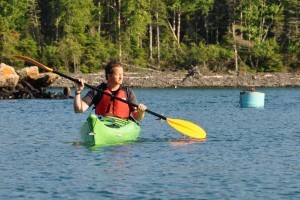 Every guided kayak trip includes a one-hour lesson. All beginners must learn to wet exit the kayak and work on two-person rescues before learning paddle strokes and basic kayaking technique. The most popular kayak trips are guided on a section of the Nipigon River, beginning at the Nipigon Marina, flowing down the Nipigon Bayou, and eventually coming out in the Nipigon Bay on Lake Superior. 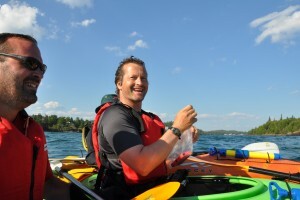 Guide and owner, Michael Elliot, works with each guest to create an itinerary based on their preferences and experience. 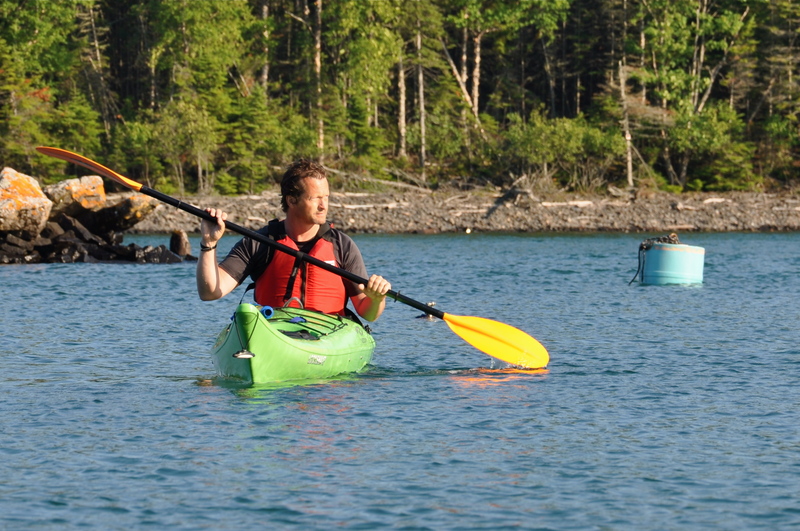 If you want to combine your day of kayaking with mountain biking or hiking (or all of the above), multi-sport full day adventure packages are available.